Wireless connection makes patient data securely available to care teams. 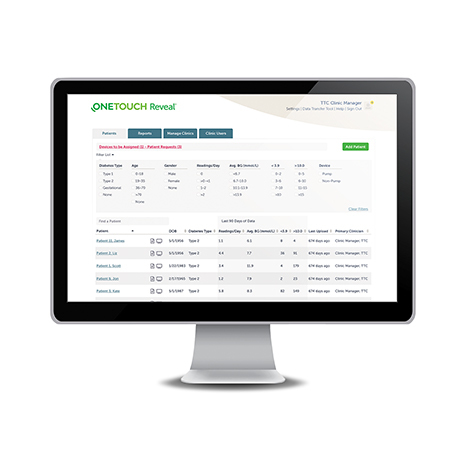 The OneTouch Reveal® web app gathers data and creates simple, colourful reports to help you have more meaningful conversations with your patients during appointments. 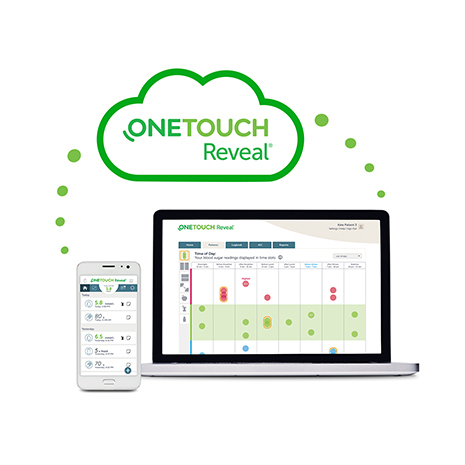 The data is instantly available on the cloud, when your patients use the OneTouch Reveal® mobile app to wirelessly sync their OneTouch Verio Flex® meter. When you receive a clinic account, you will receive a unique Clinic Code that your patients can use to securely connect with your office. 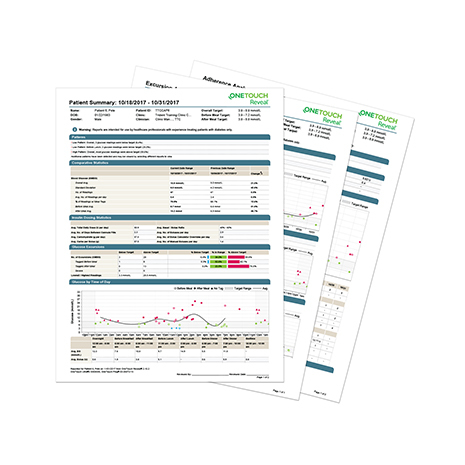 Using this population management tool, you can identify patients with Type 1 diabetes with the most lows <3.9 mmol/L, patients with Type 2 diabetes with the most highs >10.0 mmol/L. You can also find average blood glucose readings for patients with Type 1 and Type 2 diabetes and further refine list by sorting by age, gender, number of blood glucose readings per day, etc. Find step-by-step guides to setting up and using the OneTouch Reveal® web app. *Based on a study comparing the use of OneTouch Reveal® reports with the use of paper logbooks.